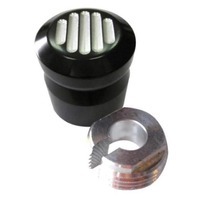 Billet Choke Knob Cover fits just about any motorcycle with a choke knob. 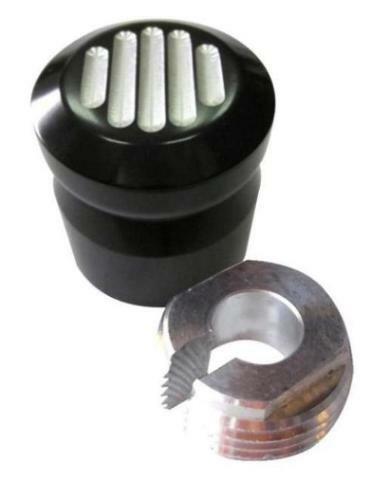 Popular on Harley-Davidson's and Metric Cruisers with choke knobs. Durable black anodized. Easy to install. 2-Piece Design, easy to install, Durable black anodized. Fits any motorcycle with a Choke Knob. Popular for Harley-Davidson and Metric Cruisers.